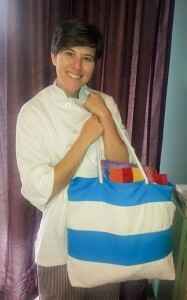 Congratulations to April Boyer for winning the June Beach Bag Give Away! The summer is just speeding by, it reminds me how fast life goes. I can’t tell you how much I appreciate all of you. I am truly blessed to have clients that have been so supportive of me since I started in 2002. I still have some of you since the beginning. You all have been with me through some big ups and downs. I have watched your lives change too – marriages, divorces, babies, loss, birthdays and much more. Some of my “kids” are so big now! We are all on a new adventure every day and sometimes we forget to say thank you or I love you to the people we care about the most. Life is so short, so be sure to show the ones you care for how much you love them. I can never thank all of you enough for your support, kindness and loyalty. I know there are lots of options in town now and I am glad to have all of you in the Raspberry Moon Family. Wishing all of you a safe and healthy summer. You brush your teeth twice a day. Your skin deserves that same attention! We all get busy and forget to take care of ourselves. This month pledge to take better care of your skin. Not sure what cleanser to use, need some help picking one or just want something different? 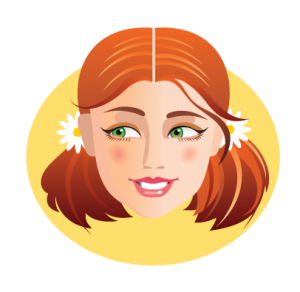 Saucy Chica Skincare offers 5 different cleansers to meet any of your skincare needs. Your cleanser will come with 2 sercies – a toothbrush and a coupon for your next purchase. Did you know Saucy Chica has a Facebook Page too? Be sure to check it out. Post a picture and/or a review on Facebook and tell us why you love Saucy Chica Skincare and you could win a FREE Travel Size Cleanser of your choice. Did you know we have a Blog? You can now sign up to get our blog posts via email. We’ve written several posts recently about great hiking tips and my story of Shoopy. I have been trying to get in a decent hike every week and the information I learned at our Women’s Social Business Network Group in May has been super helpful. I had to share all the fun hiking things that I learned. Thank you to Heather Marshall and her class on Legacy writing. Because of her teaching, I was able to write a story about my Grandfather that I read at his memorial service and then posted on my blog. 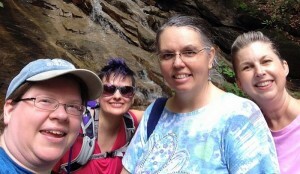 Hiking 101 – Where are we going? I thought this sounded like a fun summer scrub and if you have thyme growing in your garden even better! 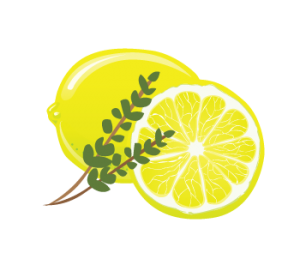 Mix the salt, lemon zest and thyme and pour into a clean, sterilized container with a tight-fitting lid. To use, just give the jar a stir to mix the oil and salt together, use as a body scrub. *Table salt is good for a fine scrub, similar in texture to superfine sugar, though not quite. If you prefer something courser substitute brown sugar instead. Keeps up to 6 months stored in an airtight container at room temperature.